Single Pringle was in his house looking out the window at all the married couples, feeling very sad. He was so sad that he felt like running out and grabbing and stealing one of the girls from a couple. It was Valentine’s Day and Single Pringle decided to finally find a girl to settle down with. He went outdoors and down to the shops. In the shop, he saw his best friend Bob on the Cob. But Bob had found a girlfriend. 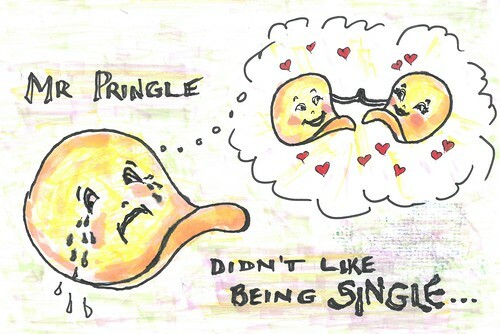 Mr Single Pringle was very jealous. He said, “I don’t care. 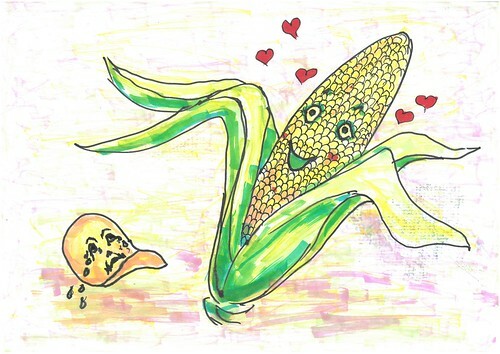 Bob on the Cob didn’t understand and thought he said he was going to buy a girlfriend in the shop! Single Pringle found a girl in the crisp aisle at Target.